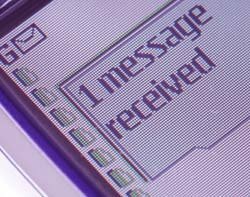 The Information Commissioner’s Office (ICO) has fined a marketing firm £440,000 for spamming its customers with text messages. Tetrus Telecoms, owned by Christopher Niebel and Gary McNeish, has been under investigation for 18 months after the ICO received reports the firm had been sending large volumes of unsolicited text messages from its two offices in Stockport and Birmingham. The texts didn’t identify the sender or gain the recipient’s permission. This means Tetrus Telecoms broke the Privacy and Electronic Communications Regulations (PECR), that came into force in 2012. Tetrus Telecoms was sending as many as 840,000 texts a day from unregistered, pay-as-you-go SIM cards. Tetrus Telecoms then sold on the phone numbers of any replies for between £3 and £5 each as a lead-generation scheme, making them between £7,000 and £8,000 per day. Christopher Niebel was fined £300,000. Gary McNeish was fined £140,000. The ICO said McNeish had appeared to have taken less out of the business. “The two individuals we have served penalties on today made a substantial profit from the sale of personal information,” said Information Commissioner Christopher Graham. Niebel and McNeish face prosecution for failing to notify the ICO that Tetrus Telecoms was processing personal information, a requirement of the Data Protection Act (DPA). This could lead to a fine of £5,000 in a Magistrates Court or, if it were to be referred up to the Crown Court, an unlimited penalty. The ICO has warned companies which bought data from Tetrus Telecoms to check whether customer consent was given or risk coming under scrutiny as well. “We will continue to work with the relevant authorities, as well as the network providers, to ensure companies like this are punished,” said Christopher Graham. The ICO has set up an online survey to enable customers getting spam texts or phone calls to report them directly. “Our message to the public is that if you don’t know who sent you a text message then do not respond, otherwise your details may be used to generate profits for these unscrupulous individuals,” Graham concluded.